For decades now Windows has come pre-installed with a few good games, including Spider Solitaire, Free Cell and Hearts. Now, Android and iPhone have taken over as mobile gaming platforms and they allow people to play a wide range of fun card games that they used to enjoy on their PCs. A game of Poker online with friends and colleagues or Solitaire on your Android device is one of the best ways to spend a lazy Sunday afternoon. There are plenty of Android card game apps, but what people look for is free stuff. 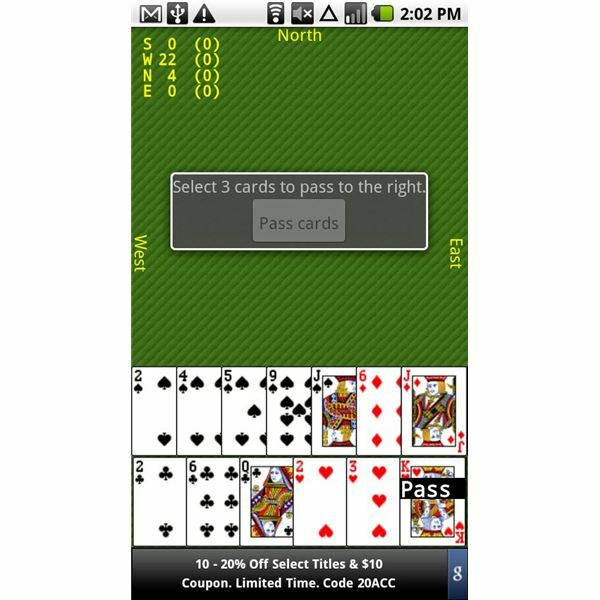 Thankfully, The Android Market is teeming with free games, including popular titles such as Solitaire, Mau Mau and even free Card Battle games. Playing the most popular card game on Android can’t get bigger than this. Klondike Solitaire is one of the best card games that has been optimized for mobile gaming. 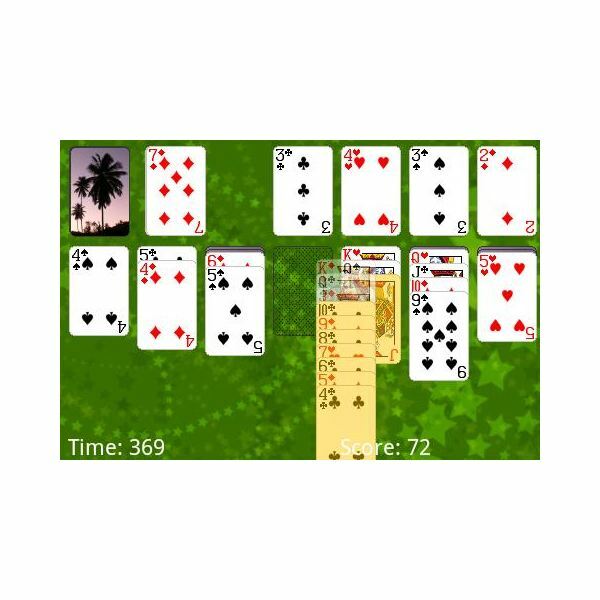 A fun version of the original Solitaire, first released for Windows, this card game allows players to build down columns from King to Ace in alternating colors. The Android version has an accessible user-interface and shows hints in case you’re stuck. You can also customize the deck and table. Klondike Solitaire is the perfect alternative to the original solitaire that you’ve played on your PC. Mau Mau is as addictive as Uno, but is played with a regular deck of playing cards. The objective is similar to Uno – you have to get rid of your cards from the hand first in order to win. The Android version lets you play against three AI opponents. You can also choose the number of players (2-4) and play an engaging session of this card game. The game has a rule set that needs to be referred to before playing against the computer. Mau Mau has an easy menu interface and really nice visuals. From the card deck to AI opponents, all are well-designed and cartoony, which adds more fun to the usual turn-based gameplay. If you are looking for card games like Uno or Flex, then you should install this free Android card game on your device. Hearts is one of the best trick-taking card games, the other two being Bridge and Spades. The first proper Hearts game, which was a simpler version of the current game, was played in 1850 and today it is played by millions of players worldwide. Hearts for Android brings the popular trick-taking card game to your mobile screen. The game is best known for its easy touch interface and good animations. The game allows players to choose between normal and omnibus rules and provides a hint system and support for vertical tricks. The only drawback of the game is that it is ad-supported and hence requires an Internet connection to get activated. If you simply adore playing Bridge and Spades, you will surely love Hearts and its intuitive touch interface. If you are bored of playing card games, then it’s about time that you switched to card battle games like Shadow Era. This collectible card game, with its splendid artwork and deep strategy, provides hours of fun and entertainment. It has a quick learning curve and has fantastic 3D visuals and sound effects. You can also play against your online friends with the multiplayer system with collectible cards, complete with stats and hints. 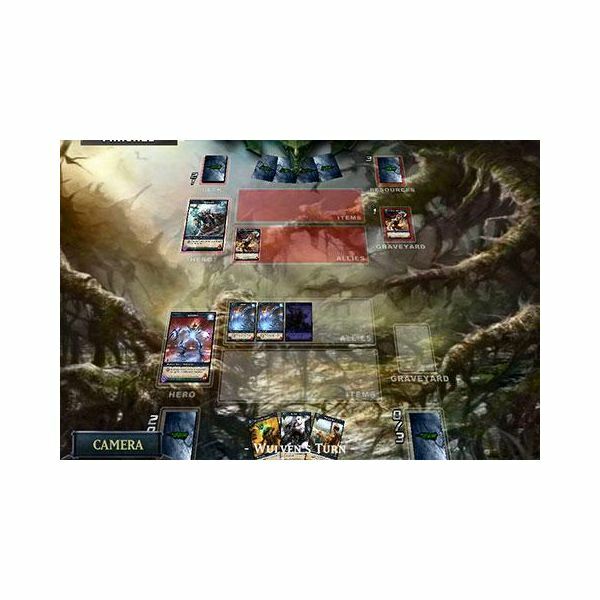 The best aspect of the game is the card art, which can even top the design elements of some of the best card battle games you find for PC, including Magic: The Gathering. Shadow Era is a freemium title and always updates itself with new cards, but you can have a satisfying game without buying any additional cards or updates. 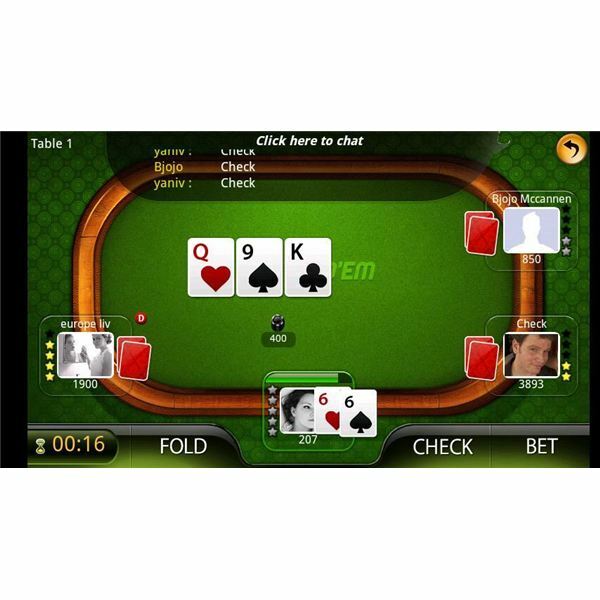 Playing Poker against your friends on the Android network is the best way you can enjoy the game– and Live Holdem Poker is the best game that lets you play not only against your friends, but also play against millions of players around the world. The free multiplayer card game has a good update system and provides free chips and diamonds on registration. You will also receive thousands of chips free every day. Live Holdem Poker Pro has also several features including an in-built Live Chat feature, a Sit-n-Go tournament mode and hundreds of virtual goods to gift other people on the table. The game also has various types of personal avatars to choose from and use online. The poker table looks quite realistic and gives the feeling that you are playing for real against your human opponents. 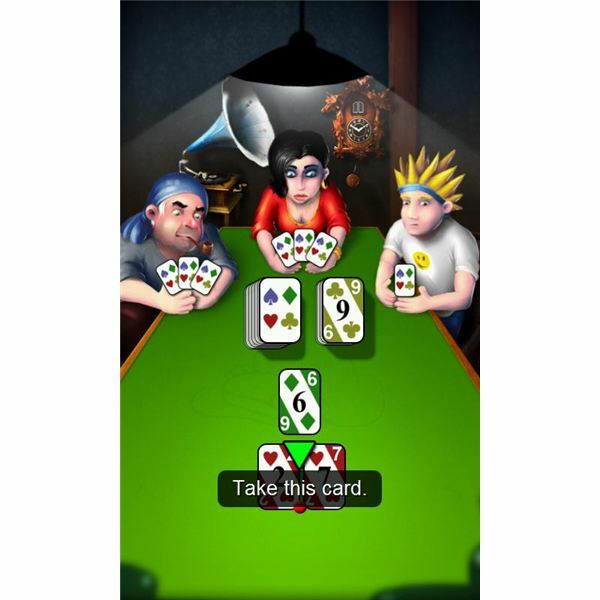 If you love Poker and want a perfect online multiplayer Android card game that lets you play against random opponents, then you must install this game right now.